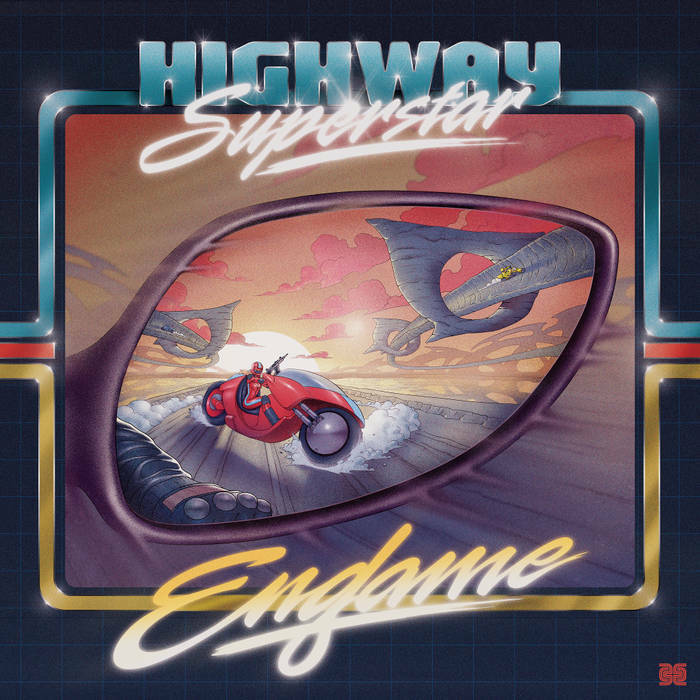 Highway Superstar - Endgame - NewRetroWave - Stay Retro! | Live The 80's Dream! I’m guilty of describing music in terms of hipster mathematics. Death Cab For Cutie + Neutral Milk Hotel = The Decemberists. That sort of thing. Fifteen seconds into “Cast Away”, the opening track of Highway Superstar’s Endgame, the musical arithmetic was firing away. The Cure + a-ha, I thought. This isn’t any sort of indication of a lack of creativity. Instead, it’s evidence of strong songwriting, the most prominent trait through the album’s eleven track run. The album fluctuates between tracks with guest-contributed vocals and purely instrumental tracks. Both manage to be memorable, and the album carries a baton of energy efficiently between the songs. I’m ordinarily a bigger fan of vocal tracks in my synthwave albums, but Endgame makes it difficult to choose between the two. “Stalemate Punks” is the highlight of the purely instrumental tracks. The opener of “Cast Away” features vocals by Dana Jean Phoenix, a name that at this point in the scene is synonymous with quality and melody. 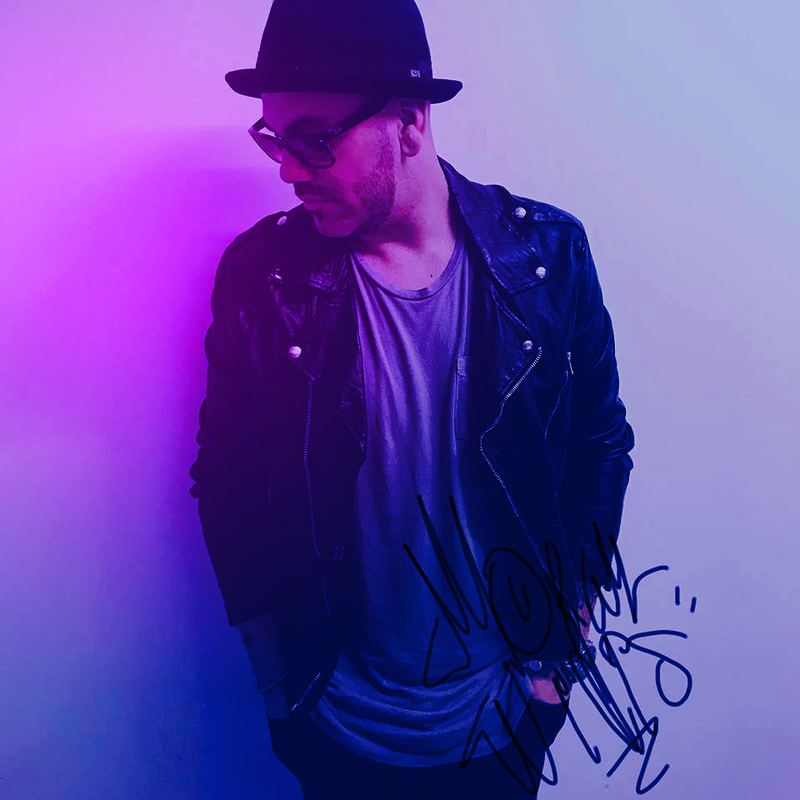 Her voice and the onslaught of guitars from Hugh Myrone and Guy Elyahu give the song an edge and momentum that is extremely fresh in the genre. Guitars are not a new concept in synthwave, but the application of them in this song is what is important. The songs on the album are impeccably mixed. The chiming highs are never piercing. The bass synths and kick drums sit comfortably in the mix, never overbearing the track in a way that a novice might. Every track on Endgame is indicative of how much Highway Superstar knows what he is doing. “Burn This City” is an example of everything Highway Superstar does right all in one song. The song is confident, funky, and has little flourishes all over the place. Alex Karlinsky, the human behind Highway Superstar demonstrates his vocal chops alongside Honey Colonna, a singer who contributes to many of the best moments on the album. The result is an outstanding track filled with strong moments. 2015 is proving to be a year of albums that are reaching new heights in different directions. So many good albums with distinct sounds have been released. Endgame doesn’t just sit comfortably with those releases, it manages to hold a position near the top of the pile.